This special package contains a 360ml bottle of AO Sept Plus HydraGlyde solution with long-lasting hydration. Each bottle of solution comes with a special AO Disc catalysing agent, which is required for the cleaning process. 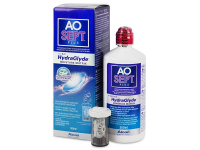 AO Sept Plus HydraGlyde is hydrogen peroxide solution designed to disinfect all types of soft contact lenses. The patented HydraGlyde moisturising agent provides lasting moisture for maximum comfort. This solution is packaged with a special antibacterial case that contains the catalysing agent, AO DISC, which is necessary for the effective operation of the cleaning process. Each package contains one 360ml bottle of solution and special contact lens case. Never apply peroxide solution directly into the eyes, as it can cause serious injury. Never use a flat contact lens case with peroxide solution. Use only the special case that contains a neutralising disc that is included with the solution. Never remove the lenses from the special case before completion of the neutralisation process (at least 6 hours). Never overfill the case with solution. Leaked and non-neutralised solution can inadvertently come into contact with lenses or your fingers, causing injury. This is not a multipurpose solution. It is essential to wait for complete neutralisation (minimum 6 hours) during each contact lens cleaning with AOSEPT PLUS HydraGlyde® solution to prevent eye damage due to burns. Use following the advice of your optician. Read more about AO SEPT PLUS HydraGlyde Solution. Leave my lenses to soak in the solution and they feel great afterwards. Hi, is aosept plus hydraglyde suitable for coloured contacts also? The most effective cleanser, in my opinion. Slightly more effort involved, but the results are worth it. This solution leave my lenses feeling cleaner than anything else I've tried. Just remember to let them soak for the full 6 hours!! i wore my contact lens through the use of this aosept, it's my first time but as i wore this my eyes became irritated, is it normal? please note that it is normal your eyes were irritated in case you did remove the lenses from the special case before completion of the neutralisation process (at least 6 hours). 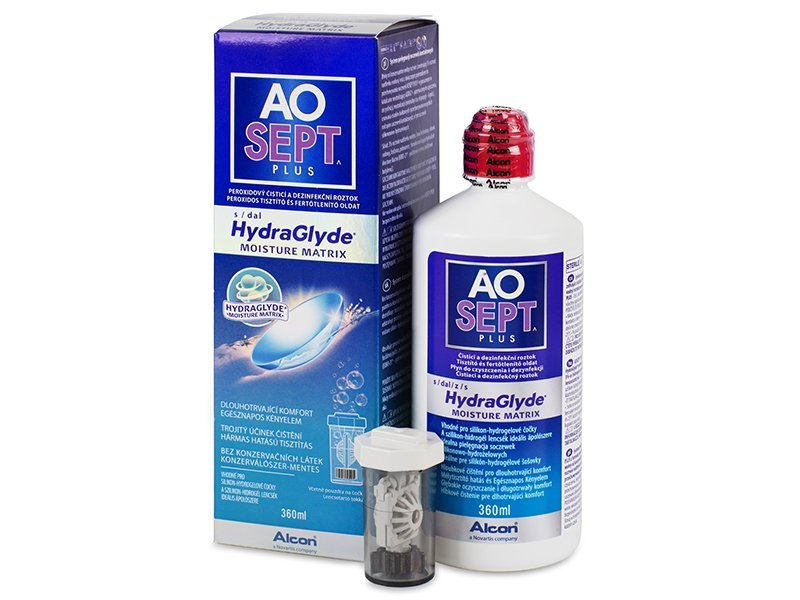 It is essential to wait for complete neutralisation (minimum 6 hours) during each contact lens cleaning with AOSEPT PLUS HydraGlyde® solution to prevent eye damage due to burns.